The National Broadcasting Commission (NBC) has approved the Bingham University Campus Radio. 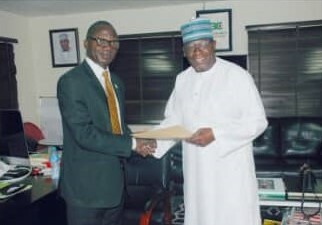 The Director General, Mr Ishaq Kawu Modibbo, while handing over the license to the Ag. Vice-Chancellor Prof. Williams B. Qurix, OFR, congratulated the university for scaling through the rigorous process. He stated that the rule and code of ethics guiding broadcasting must be adhered to, as any deviation could lead to withdrawal of the license. He pointed out that broadcasting is a serious business and any information going out must be accurate. he added. Responding on behalf of the management, Prof Qurix, expressed gratitude to the management of NBC for granting Bingham University the license to run a radio station. He assured the Director General of the university's readiness to run the campus radio according to the rules. © 2018 Bingham University. All rights reserved.